The Olympics has been a rough one for the dogs of Sochi. Leading up to the start of the 2014 Sochi Olympics animal lovers all over the world expressed their outrage over the stray dogs that were being rounded up by the Russian authorities to be exterminated. 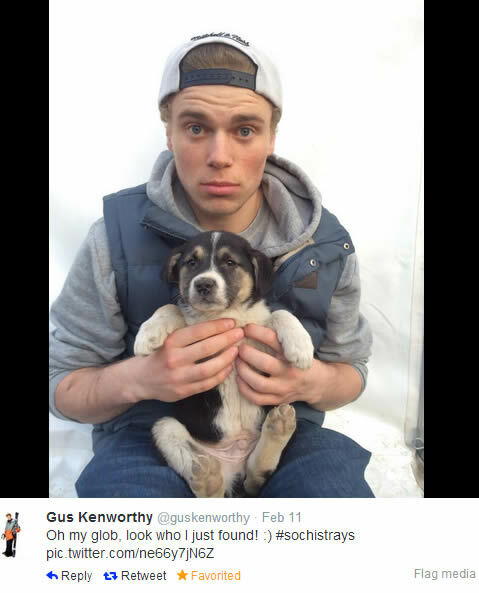 Thanks to silver medalist Gus Kentworthy who was part of the US sweep in the slopestyle ski event, a group of dogs lives will be spared. Gus has been a dog lover all his life so when he came across some helpless pup’s in Sochi, he decided that he would help rescue them and make arrangements to get vaccinations so that he could bring them home to the States. 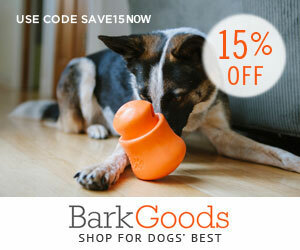 There are a lot of dogs all over the world that need a home. Visit your local shelter or rescue to find out what you can do to help save an animals life. 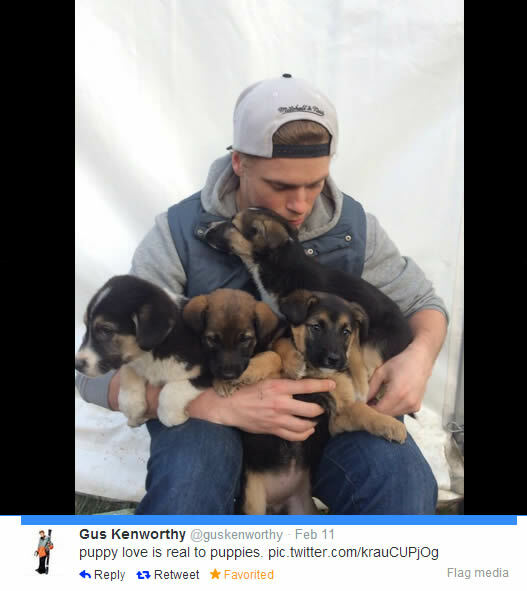 Check out pics Gus tweeted with his new puppies.